Uchisar, a small village of Cappadocia is mostly renowned for two things; luxury hotels and an ugly castle that is the highest point in the region. On my first visit to the area, I couldn’t afford to stay in any of their hotels but heard the castle that can be seen from miles away, gives off a wowing panoramic view of the valleys. With this in mind, I set off from Goreme with my camera, my best walking shoes and a rucksack filled with bottles of water. In an effort to save money, I passed the local buses and shops advertising car and bike rentals. I was going to walk to the top but never anticipated the high climb would get the better of me. About three-quarters of the way up the hill, I admitted defeat. Determined not to have a wasted trip, I walked around Uchisar village instead. This decision was more fruitful than any view I could have snapped on my budget travel camera because I met some weird and wonderful characters. 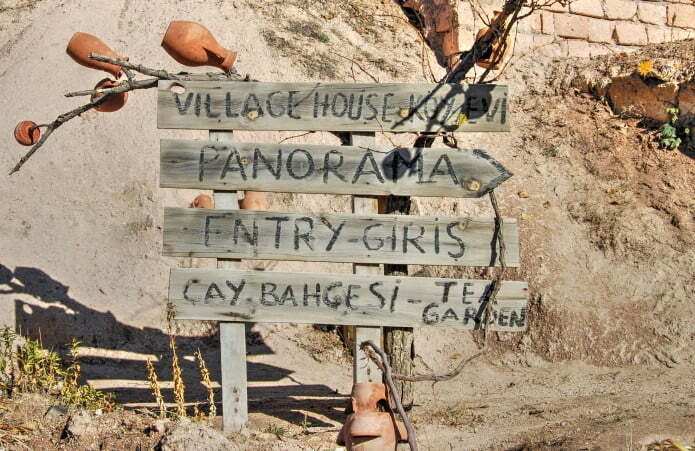 The streets and cobbled paths reveal some comical cave houses and since Uchisar is a small village, it is policed by Jandarma and not the mainstream police. At the end of souvenir road, was the quirky Jandarma station in a cave. A young officer cleaning the entrance steps with grave determination didn’t seem to share my heightened enthusiasm about his place of work, probably because while it was a novelty for me, it was an everyday occurrence for him. About 100 meters further on was Peri Cave Café, also inside a cave and with six floors to choose from. The higher the floor, the better the view of the valleys was. With low ceilings, I was constantly hunched over to prevent the mother of all headaches, and I couldn’t pluck up the courage to use the toilet since I assumed it was a hole in the floor and not the European versions that I strongly prefer. Coming out of the Peri Cave Café and strolling along the road, I noticed a sign that said “My Old House. Entrance is free.” A man stood on the roof admiring the view and another man who was the owner, invited me to sit on the living room sofa under the garden tree. Ignoring the countless tourists that walked along, pointed at me and laughed out loud, I took up the offer from the old man to see inside his cave house. 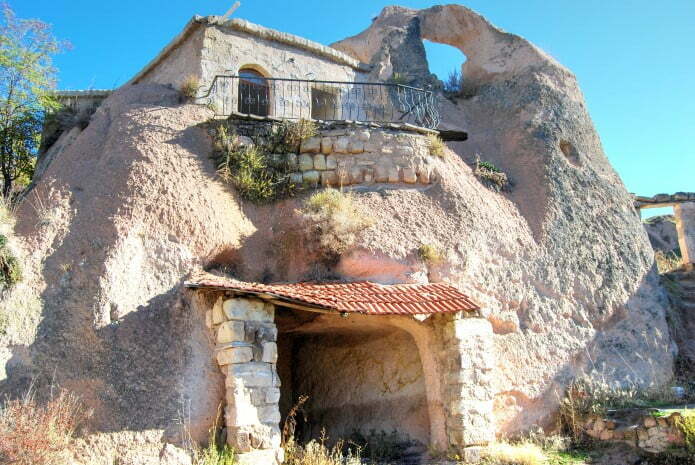 While I was pondering whether cave houses could legally have title deeds, the man said he had sold the one-bedroom cave house for a massive 160,000 Turkish Lira, obviously another wise investment I have missed out on. I don’t think the house is still open to the public now. I left Uchisar later that day with some wonderful holiday pictures and a lasting impression of the village that time forgot and then returned 3 years later to stay in the luxury Taskonaklar Hotel. 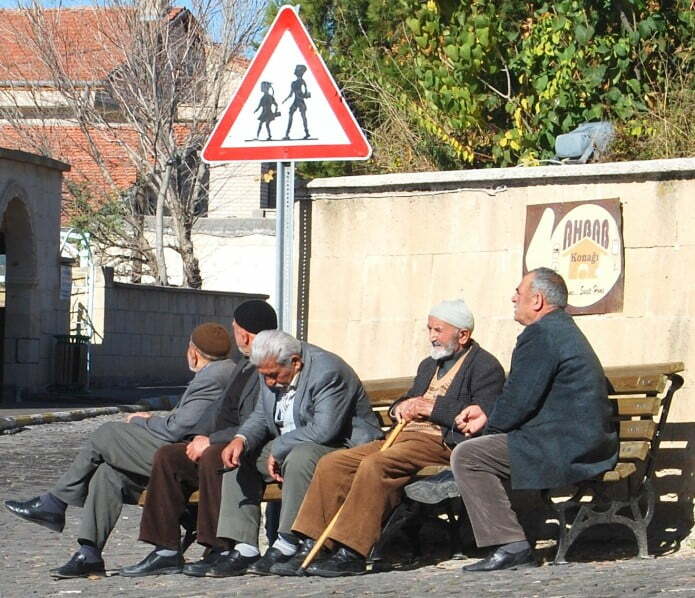 That visit was in November and Uchisar was like a ghost town. I should have seen it in the peak summer season but this time getting to the castle was easy and guidebooks are right in that the view is breath-taking. Strolling around the streets led me to a small artist shop where the owner who specialized in Ebru painting, said she would give me a lesson for 100 lira. As much as I wanted to try it, I felt she was deliberately inflating the price because I was foreign. 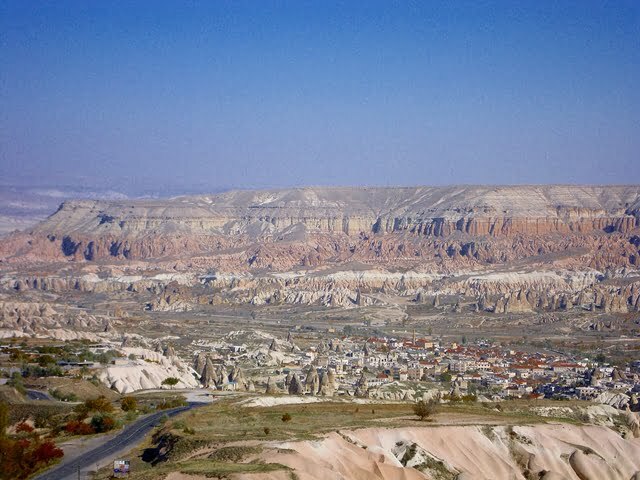 Even though I’ve returned to Cappadocia since then, I haven’t visited Uchisar again. I remember the castle, luxury hotels, working horses and a smelly old camel called Suleyman that seemed to take an instant dislike to me but I’ve one memory that stands out above all the rest. On a clear day, on the horizon, I saw the majestic Mount Erciyes in the distance. I’ve seen it before when I visited Kayseri but on this occasion, it wowed me even more than before. 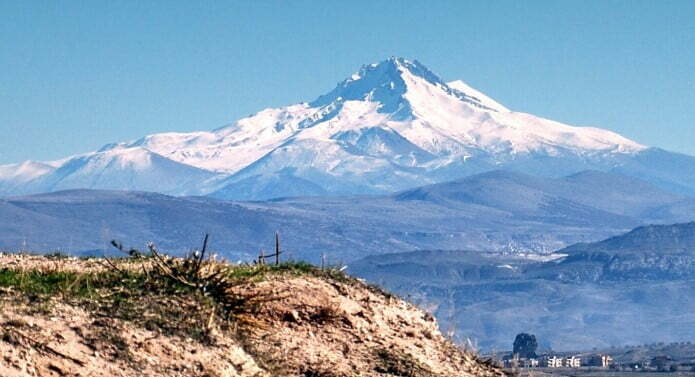 On my bucket list now, is to visit Mount Erciyes in the winter. They have amazing winter sports so I’ve heard. yes. I was happy when i answered you, because i see first time such a blog. 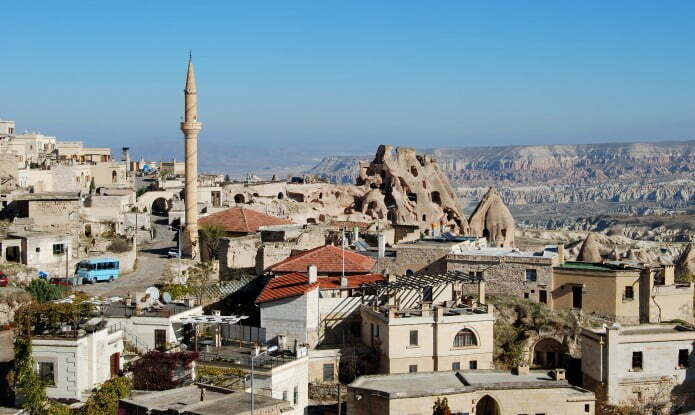 i live in germany but cappadocia is my dad´s village in Turkey. I can´t good english i just try to write; because you have very great post. we will go this jear again to holiday to Cappadokia, Göreme, Uchisar, Kayseri i love this environment. 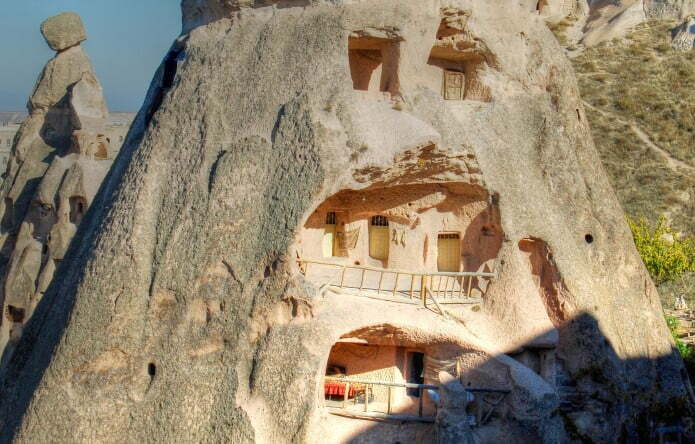 We have a house in Nevsehir. You can tell very emotional. You´re right it´s a place for a wonderful holiday. I´m sorry when i have speech impediment! Hi Allan, At least you did the balloon ride. Mehmet and I backed out because of fear! Merhaba Natalie, thanks for the post, Pam and I stayed in the Melis Cave Hotel whilst we were there, (very nice), you made us remember everything, the balloon flight was good and the scenery brill. Hi Jill, Thanks for stopping by. The caves were formed because the stone was so soft and more or less crumbles when wet. I think it was just man hundreds of years ago, saw a way to build a home for himself. The whole area is like it. Try staying in a cave hotel. It’s fab! It is a lovely village Sarah. Somewhat eccentric but still an exciting place to visit. Nice write up. It looks like a cute small village with beautiful scenery. Hi Aaron, The weather was fantastic during the day however at night time, it got a little bit chilly. I always find November is hit and miss for the weather but thankfully it turned out fine. Great post and wonderful pictures. We had thought about heading out that way for Bayram, but didn’t think the weather would be good for it. Guess we guessed wrong. @Zablon. Hi, good to see you back. Yes, the house did have electric. Never saw the toilet though! @TFl’s. I would have loved to see that program. You must have a better satellite dish then me!. 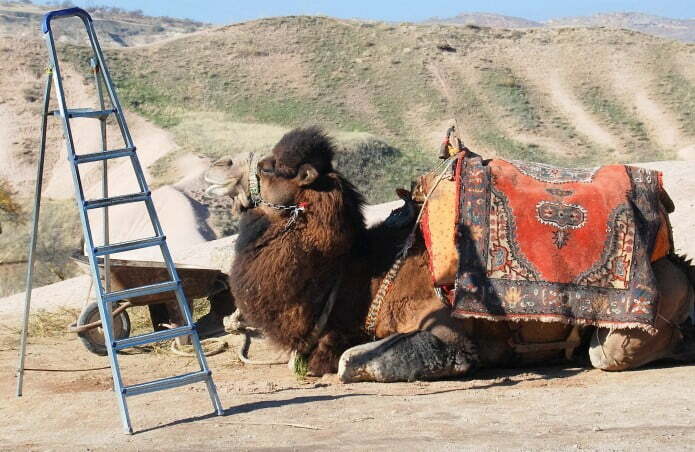 I wonder if anyone has managed to climb to the top of Uchisar and still have their breath at the top! Great pics. I was watching Michael Palin’s ‘New Europe’ on BBC Entertainment the other day and he was in Cappodocia in the snow. Looked amazing! @Phil and Di. Glad you are enjoying. Hopefully next year, I will be able to hear your story. @Thanks for retweeting Kerry Ann. Uchisar is definitely unique. A lovely place to visit. loved this – this is what travelling is all about. Finding the unique things that the world has forgotten that enriches our lives and challenges our senses. Enjoyed so much stumbled and retweeted it! 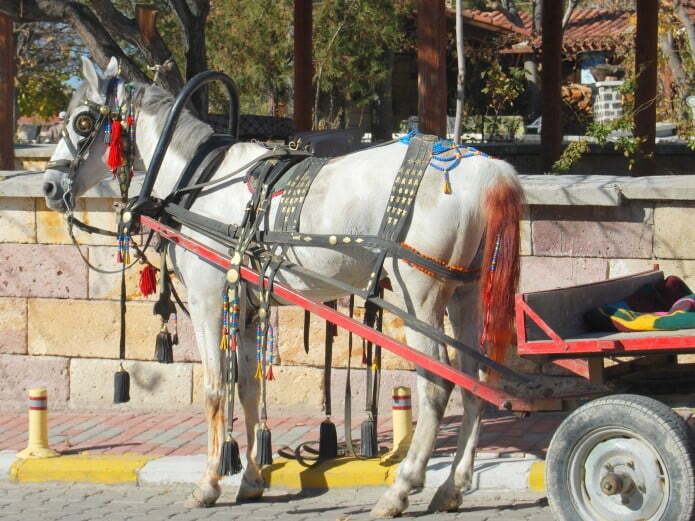 Hi Brenda, I saw some of the hotels in Uchisar. They looked very nice. A bit of out of my price range though. Let me know when you get chance to explore and if you come across the house proud Jandarma officer! I stayed in Uchisar, at the Argos Hotel, with my group just a few weeks ago. Unfortunately, I didn’t have the same opportunities as you to explore beyond the obvious as we were there for a short time and had a full schedule. However, I loved reading your descriptions and have made a note to explore on my own time next year! !